Being a client-centric organization, we are engaged in offering a distinct collection of Pole Anchors. 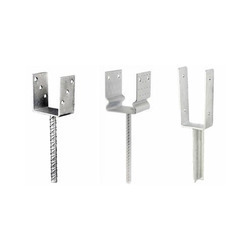 These anchors are specially designed for structuring buildings and other purposes in the construction industry. In addition to this, our offered range is rigorously tested by our quality controllers against diverse parameters in order to deliver a defect-free range at clients end. 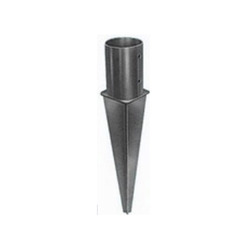 We manufacture, and export a wide range of Pole Anchors. 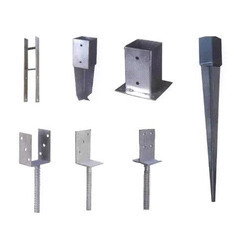 These Pole Anchors are specially designed for structuring buildings and other purposes in the construction industry. These are highly appreciated by the clients owing to the high quality we offer through them.We are also engaged in manufacturing and supplying numerous model of fence hardware which are precision engineered as per the industrial standards.. We can provide these in customized sizes and specifications as per client’s requirements. We manufacture, supply and export a wide range of Pole Anchors. These are specially designed for structuring buildings and other purposes in the construction industry. These are highly appreciated by the clients owing to the high quality we offer through them.We are also engaged in manufacturing and supplying numerous model of fence hardware which are precision engineered as per the industrial standards.. We can provide these in customized sizes and specifications as per client’s requirements. 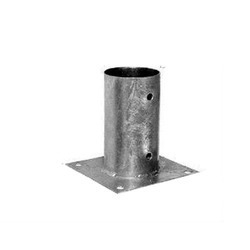 We manufacture,and export a wide range of Post Supports. 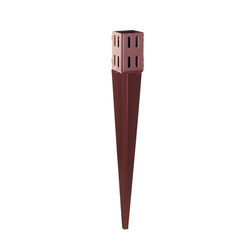 These Pole Supports are specially designed for structuring buildings and other purposes in the construction industry. These are highly appreciated by the clients owing to the high quality we offer through them.We are also engaged in manufacturing and supplying numerous model of fence hardware which are precision engineered as per the industrial standards.. We can provide these in customized sizes and specifications as per client’s requirements. 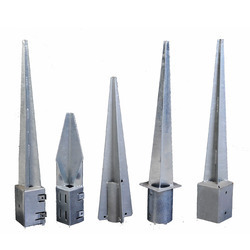 We manufacture and export a wide range of Pole Anchors. 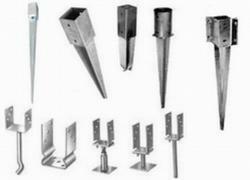 These Pole Anchors are specially designed for structuring buildings and other purposes in the construction industry. These are highly appreciated by the clients owing to the high quality we offer through them.We are also engaged in manufacturing and supplying numerous model of fence hardware which are precision engineered as per the industrial standards.. We can provide these in customized sizes and specifications as per client’s requirements. Our reputation in the market is largely attributable to our precision-designed Pole Anchors from our extensive collection of products. 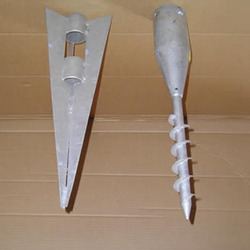 These anchors are mainly used in construction industry. In order to ensure quality, provided anchors are stringently tested on various parameters by our experts. Apart from this, remarkable quality and sturdy structure increase the demand of our offered anchors in the market. We are dedicatedly engaged in offering a commendable range of Pole Anchors. 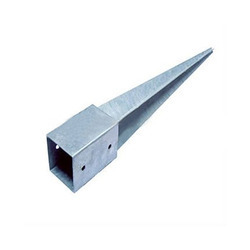 Offered anchors are specially designed for structuring buildings and other purposes in the construction industry. Owing to features like durability and sturdiness, the offered anchors are exceptionally valued by our precious clients. 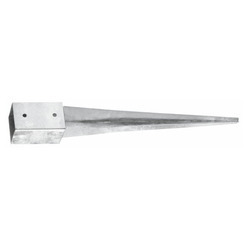 The offered anchors are available with us in various sizes and shapes at affordable price. 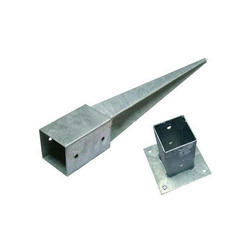 We manufacture and export a wide range of Post Supports. 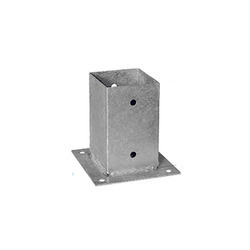 These Post Supports are specially designed for structuring buildings and other purposes in the construction industry. These are highly appreciated by the clients owing to the high quality we offer through them.We are also engaged in manufacturing and supplying numerous model of fence hardware which are precision engineered as per the industrial standards.. We can provide these in customized sizes and specifications as per client’s requirements. Being a well established organization, we bring forth an excellent assortment of Post Support. Our offered support is widely appreciated by our prestigious clients for its precise design and easy installation. 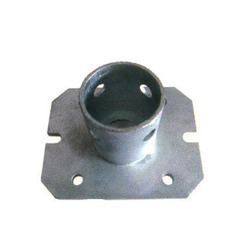 This support can also be availed in various sizes, designs and other related specifications. Our provided support is ideally used in construction industry. Looking for Pole Anchors ?